We are passionate about visiting UNESCO World Heritage Sites. These sites are of such outstanding natural beauty or cultural importance that they are worthy of protection for all humanity. Created by United Nations charter in 1972, the program designates UNESCO sites for protection and preservation. 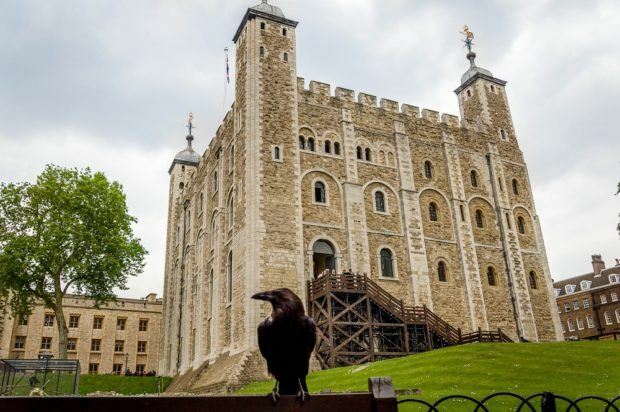 Here is our list of the Top 10 UNESCO World Heritage Sites. Also, subscribers to our newsletter, The FIX, will receive our free ebook, 25 Must-See World Heritage Sites. This is our gift to you for subscribing to our newsletter. Subscribe here today! It’s hard to have a list of the top 10 UNESCO World Heritage Sites without including the very first world historic site: The Galapagos Islands of Ecuador. For many travelers, the remote Galapagos Islands is at the top of their bucket lists. It’s a destination so remote that travelers dream for years about coming here. 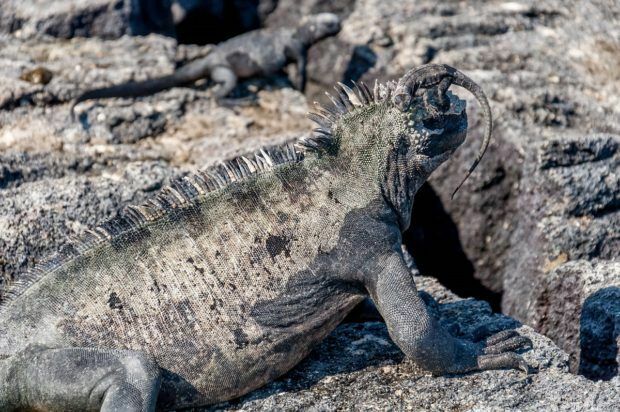 While the islands themselves are beautiful, it is really the animals of the Galapagos that visitors come to see–the wildlife that first inspired Charles Darwin. It was on this remote archipelago that Darwin first observed differences between the species. He noted how the Galapagos wildlife, particularly the birds, were so similar, yet so different to other species he was accustomed to. This led to theories on transmutation of animals and eventually the theory of evolution. Visiting the very first UNESCO World Heritage Site should be at the top of every traveler’s list. At the heart of Iceland’s “Golden Circle” route is Thingvellir National Park. Thingvellir is both an amazing geological formation and an important part of Icelandic history. 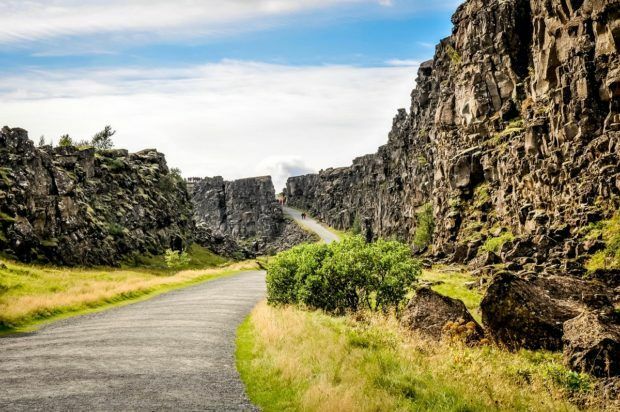 This park sits atop the rift valley between the North American and Eurasian tectonic plates – you can actually walk (or scuba dive) between the two the two continents in deep fissures within the rock. Historically, Thingvellir is the heart of the Icelandic people. On a grassy hill below a volcanic rock, the Icelandic Parliament convened here every summer from 930 AD until 1798. It was equal parts government, a festival, a court and a market. 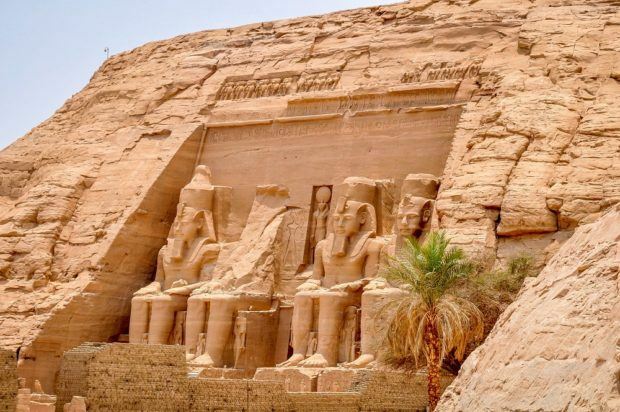 Abu Simbel sits on a bluff overlooking the man-made Lake Nasser. The original location of Abu Simbel now sits well below the water. However, when the Aswan High Dam was built in the 1960s and it was clear this treasure would be lost forever, the world responded. The temples of Ramses II and his wife Nefertari were disassembled block by block and reassembled above the water. In response to this near tragedy, the United Nations set about recognizing UNESCO World Heritage Sites and protecting them for future generations. In western England, the small town of Bath makes a big impression. Millions of visitors make the trek from London and other cities to visit and soak in the royal waters of Bath’s thermal spas. Since the times of the Roman outpost of Aquae Sulis, Bath has been an important town for religious pilgrims and travelers. 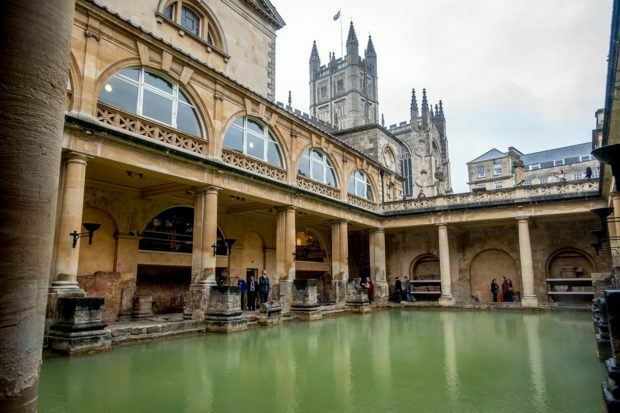 Bath’s legacy was pioneered by the Celts and then built by the Romans, who took the natural bubbling hot water of Aquae Sulis and channeled them into a beautiful bath house and temple complex. These days, visitors can see the sacred spring, a Roman temple and the bath house. The Roman Baths have a first rate museum that explains the importance of the site, its preservation and how Bath, England became a UNESCO World Heritage Site. The Paris of the East. That’s what they call Budapest, Hungary. And if Budapest isn’t on your travel list, there’s something wrong. There is perhaps no city in the world more beautiful than Budapest. At times, this city has an identity crisis. Budapest’s rich architectural and cultural traditions stand in stark contrast to the bleak austerity under 40 years of Iron Curtain communism. 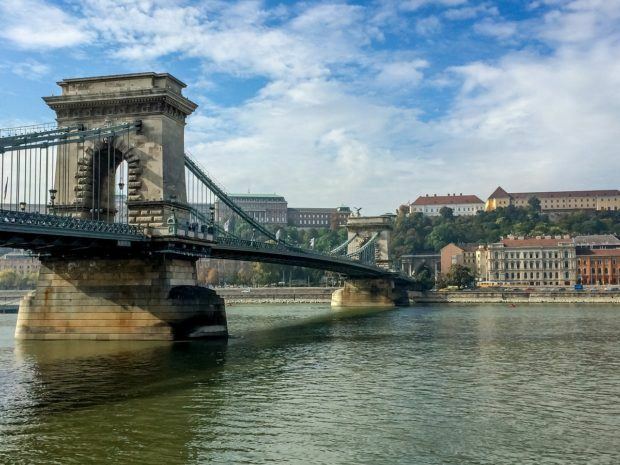 We found ourselves overwhelmed by the sights, sounds, and tastes along the Danube. Budapest is divided by the Danube River into the older Buda/Castle Hill district and the newer Pest area. In recognizing Budapest as one of the top 10 UNESCO World Heritage Sites, both sides of the Danube are specifically called out for recognition. Budapest is blessed with a rich spa culture and the city is fed by a large number of naturally occurring hot springs. One of the highlights in the Hungarian capital is a trip to one of the many thermal baths in Budapest to soak in the warm, healing waters. For centuries, many of Europe’s most important trade routes crossed through a section of Northern Bavaria called Franconia. Trade is still important to the region as many important international companies are based here. And that trade brought wealth. 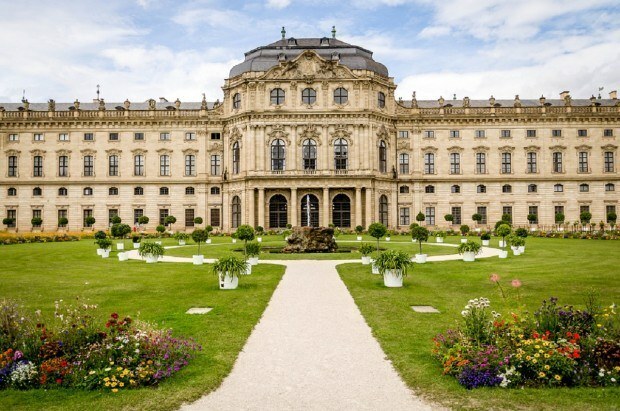 The Royal Residenz in Wurzburg is one of the finest royal palaces in all of Europe. As Wurzburg was a Nazi stronghold during World War II, the Residenz (and the town for that matter) suffered extensive damage during the war. It has since been painstakingly restored to its former glory. Wurzburg is also known as the traditional starting point of The Romantic Road–a 255 mile touring route that visits many of Germany’s most beautiful small towns. Riga is a brilliant mix of the old and the new. At any moment, 700 years of architecture and history unfolds around every corner. 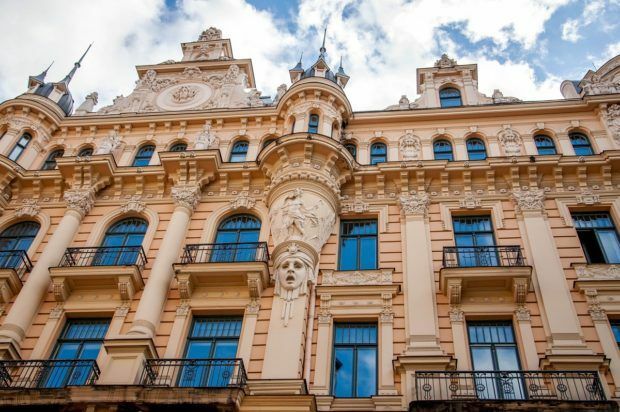 With its bustling markets, refreshing open spaces, and pieces of history everywhere you look, Riga is a favorite of visitors to Eastern Europe. The city is known for its Gothic-Dutch Renaissance and Art Nouveau architectural styles. The Table Mountain National Park towers over Cape Town, South Africa. Many visitors think of it as a beautiful view. However, Table Mountain National Park covers a 85 square mile area of the Cape Peninsula. Most of the Cape falls into the Cape Floral Region Protected Areas UNESCO World Heritage Site. Despite its tiny area, over 20% of Africa’s entire flora biodiversity lives here. 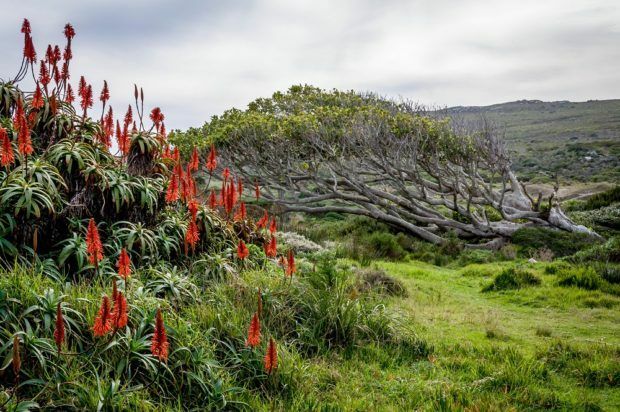 The best way to experience this biodiversity is to drive the Cape Peninsula to Cape Point. The village of Kutná Hora in the Czech Republic was one of Europe’s most important towns from 1260 through the 1800s. One of Europe’s largest and most prosperous silver mines was located here. 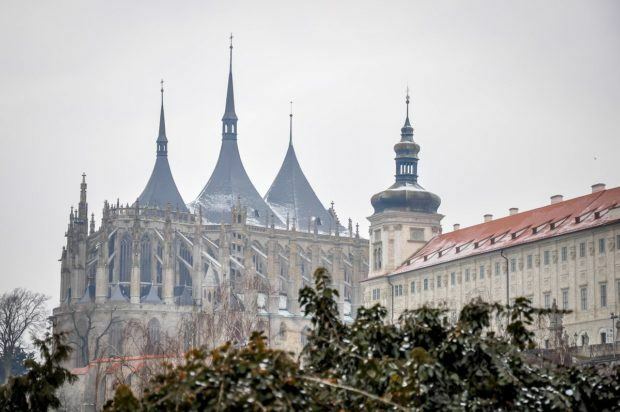 The silver trade made Kutná Hora a very, very wealthy town and it rivaled Prague for prominence. Today, Kutná Hora has a sleeping countryside feel to it. The Church of St. Barbara is a massive gothic church from the 14th century comes complete with flying buttresses that even the Notre Dame in Paris would be jealous of! The stained glass windows are some of the most beautiful and intricate in the world. The glass is painstakingly hand painted, instead of using colored glass. Most visitors to Kutná Hora come to visit to the Sedlec Ossuary (or the Kutna Hora bone church) which is filled with the bones of over 70,000 plague victims that have been arranged in intricate designs. On the Antrim Coast of Northern Ireland, the rolling hills become more pronounced. The hills encroach on the sea creating jagged sea cliffs and breathtaking views. 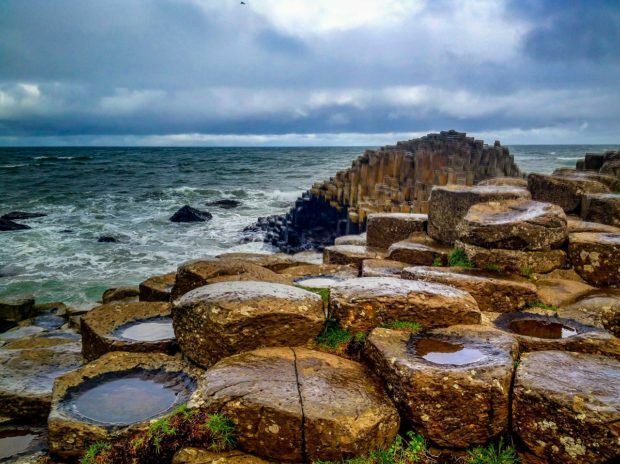 The Antrim Coast is known as the Causeway Coast because of The Giant’s Causeway–an inter-locking series of over 40,000 basalt columns. The bizarre formation has become a central figure in Gaelic mythology. Turkey’s Cappadocia region is famous for strange looking rock formations called fairy chimneys. 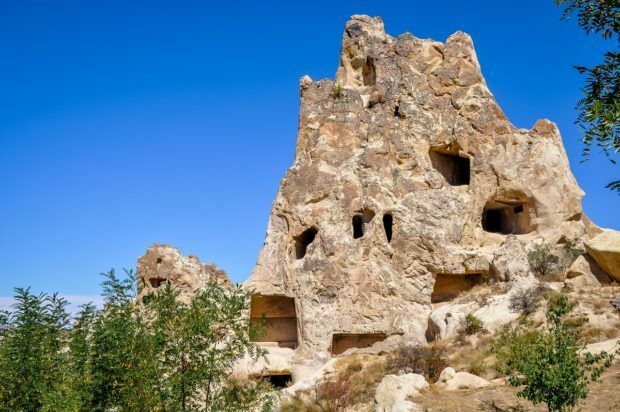 However, this part of Central Turkey is more than just a geologic oddity–it is an extremely important area to the early spread of Christianity. The soft, ash deposited by the Mount Erciyes volcano over 60 million years ago hardened into rock. For centuries, people have carved caves out of the ash rock. Early Christians during the Byzantine period created cave churches which document the evolution of the Christian tradition as it spread and evolved. Goreme in Cappadocia is recognized as a UNESCO World Heritage Site for its importance to the spread of early Christianity. Germany was the home to Martin Luther and many of the sites in Germany associated with Luther are recognized as UNESCO World Heritage Sites. Martin Luther and the town of Eisenach are inseparable. Luther lived here five different times in his life, and his boyhood home is just steps off the main market square. 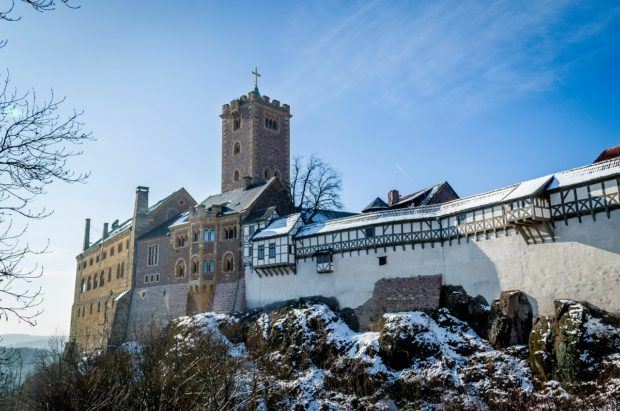 Eisenach played a key role in the protestant Reformation when Martin Luther sought refuge in Wartburg Castle, which towers above his beloved city of Eisenach. Luther lived there in hiding for 10 months beginning in May 1521, during which time he translated the New Testament of the Bible from Greek into German. Unlike current Catholic Church teachings, Luther believed that individuals could have a direct relationship with God and did not need the clergy to act as intermediaries – a heretical idea in his day. This was a pivotal event in the Protestant Reformation. Central Nepal is dotted with a number of important world historic sites that collectively make up the Kathmandu Valley UNESCO World Heritage Site. 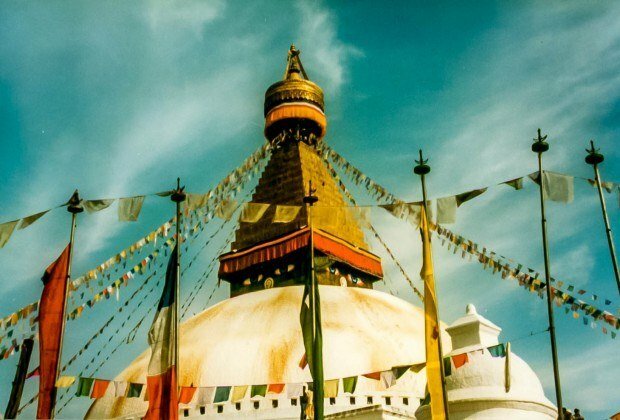 This includes two Buddhist stupas, two Hindu shrines and three secular sites that are the most important cultural sites in Nepal. The sites bear witness to the coexistence of two great world religions and the cultural heritage that they have created. Unfortunately, several of these sites, including Kathmandu’s Durbar Square, suffered serious damage or were completely destroyed in the earthquake of April 25, 2015. 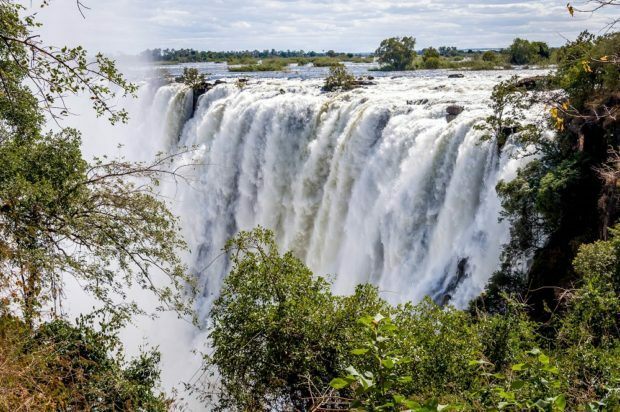 In the local language, Mosi-oa-Tunya means “smoke that thunders,” which is a pretty accurate description of Victoria Falls. Victoria Falls is nearly twice as high as Niagara Falls, but it is considered the largest in the world because of the massive wall of water that is created when the Zambezi River plunges into the gorge below. Victoria Falls is one of Africa’s most important and most recognized attractions, and is included on numerous lists of top 10 UNESCO World Heritage Sites. The town of Banská Štiavnica and the Pohronie (the Hron River Region) area are visited primarily by Slovaks for weekend getaways, however, the town has a more notable history. It is the oldest mining town in Slovakia and sits atop The Theresa Vein – one of the richest deposits of silver during the Middle Ages. Banska Stiavnica was a wealthy town and received the nickname of Silver Town. The town is an amazing specimen of medieval life in the greater Hungarian Empire. 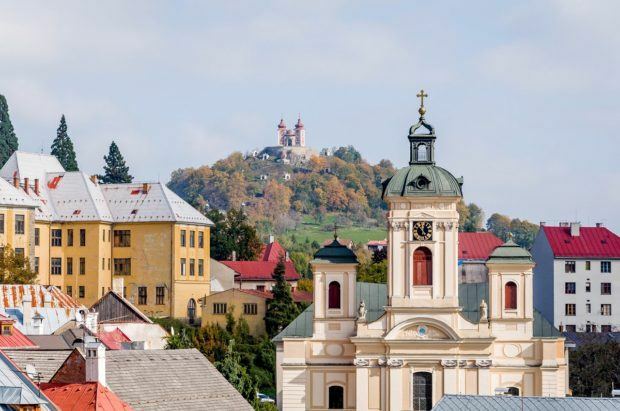 Banska Stiavnica received it’s UNESCO Heritage Site designation not just for the charming village – the town has a 2,000 year history that has revolutionized the mining and forestry industries. Bonus: Visitors to the Banska Stiavnica should not miss the Parenica steam cave hot springs at the nearby Kupele Sklene Teplice spa – a truly unique experience. Auschwitz is a place that hardly needs an introduction. It is a single word that conjures images of horror. The place known collectively as Auschwitz is comprised of the main camps – Auschwitz I, Auschwitz II-Birkenau (the “death camp”) and the Auschwitz III-Monowitz (the “work camp”) – plus a network of over 45 small sub-camps that supplied slave labor to industrial companies. The collective Auschwitz system was the largest concentration camp in the German system, and Auschwitz II-Birkenau was the largest extermination camp. 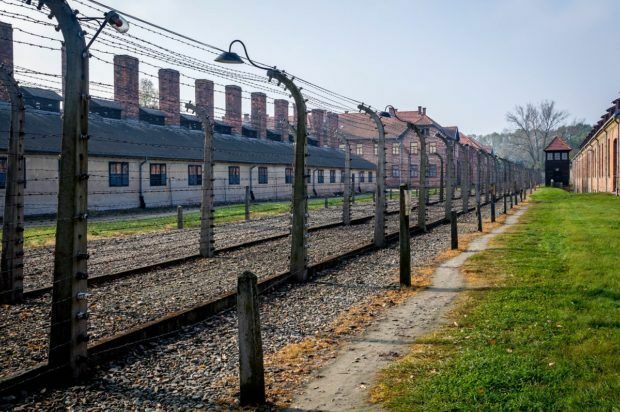 Many visitors to Auschwitz will have seen movies about the camp, however, there is no movie that can prepare you for being confronted with the realities of Auschwitz. 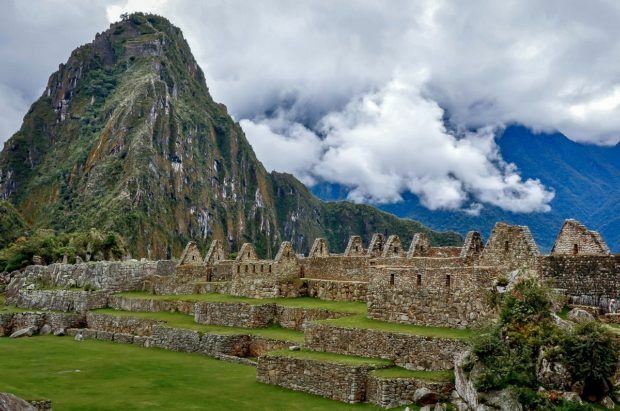 The mountain sanctuary of Machu Picchu makes an appearance on nearly every list of top 10 UNESCO World Heritage Sites. There’s good reason: it is absolutely breathtaking. Machu Picchu is the kind of breathtaking where visitors have to stop and etch the experience into their brains. No matter how many pictures you see, Machu Picchu is much better in person. It doesn’t get any better than standing at the Caretaker’s Hut and Funerary Rock and taking in the views. There are very few UNESCO sites in the United States, given the relatively young age of the country. 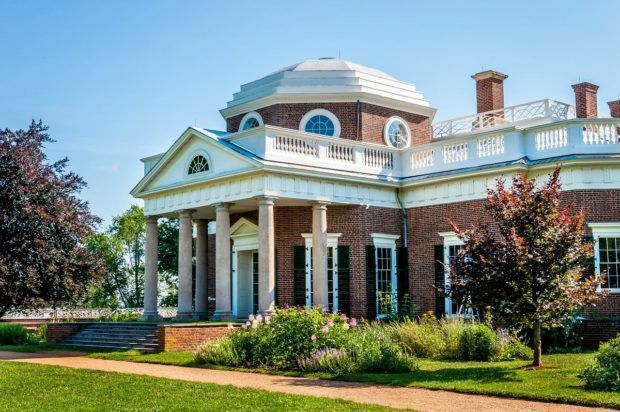 Yet, one of them is Monticello – the hilltop home of Thomas Jefferson. He was a complex man who led an intriguing life. He was an educator (founding the University of Virginia). He was a farmer. He was a librarian. He was a vintner. He was an inventor. His home reflects all of these pursuits. And he was a slave owner. Monticello explores the fabric of early American history through the lens of one of its founders. Provence has something for just about everyone. This brilliant corner of southeast France is punctuated with villages full of winding lanes, cliffs that plunge to the sea, and 2000-year-old Roman ruins still begging to be explored (including Arles and Orange). 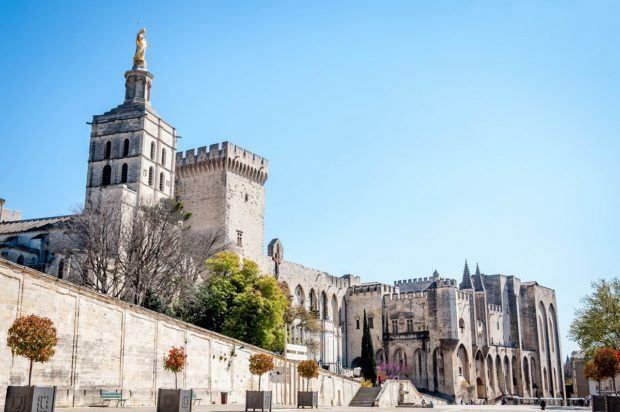 Provence is home to several UNESCO World Heritage Sites, including the Palace of the Popes in Avignon, honoring the period of time when the Papacy moved from Rome to France. Provence is picture perfect! The region of the Cradle of Humankind outside of Johannesburg is very beautiful and is important to documenting human evolution (both biologically as well as culturally). This large complex of caves, valleys and rivers have produced some of the oldest and most informative hominid (ape-man or human ancestral) fossils in the world. The Sterkfontein Cave alone has produced more than third of all the hominid fossils ever discovered in the world. 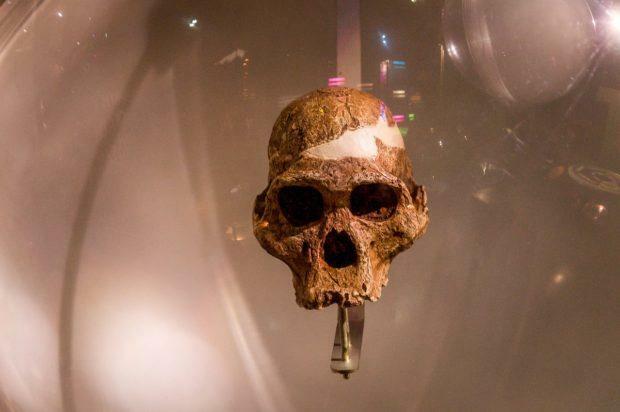 Visitors can explore our “humanness.” The Cradle of Humankind is anchored by the Sterkfontein Cave and the Maropeng Visitors Center. 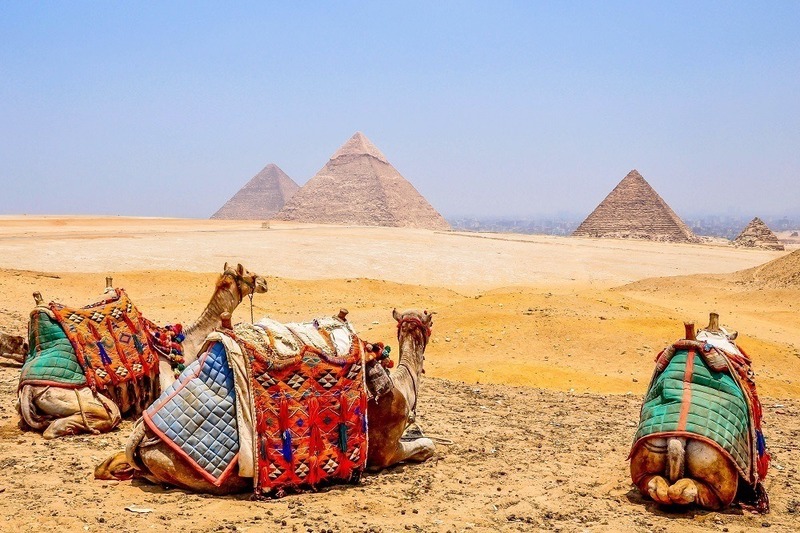 What do you think about Top 10 UNESCO World Heritage Sites to Visit? 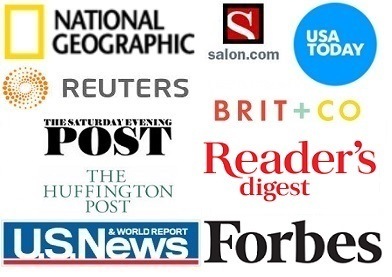 Great list, I am glad you added in some “not so popular” sites such as Þingvellir National Park and the Historic Center in Avignon. This list feels a little too “Euro-centric” to me as there are a ton of UNESCO sites in South America, Africa, the Middle East, and Asia that seem to be left off this list. 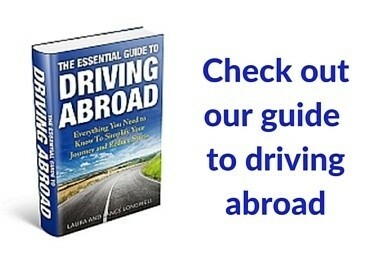 For example, Angkor Wat and Petra – I am very surprised neither is on this list?!? So while we cover all the continents except Australia (the one real glowing criticism), it is representative of the broader distribution of global heritage sites. Wow, all of these places look like they would be amazing spots to visit. The architecture of buildings of other cultures is always so fascinating to see in person. It seems like these sights offer endless opportunities! Nice job with this! Thanks for sharing!